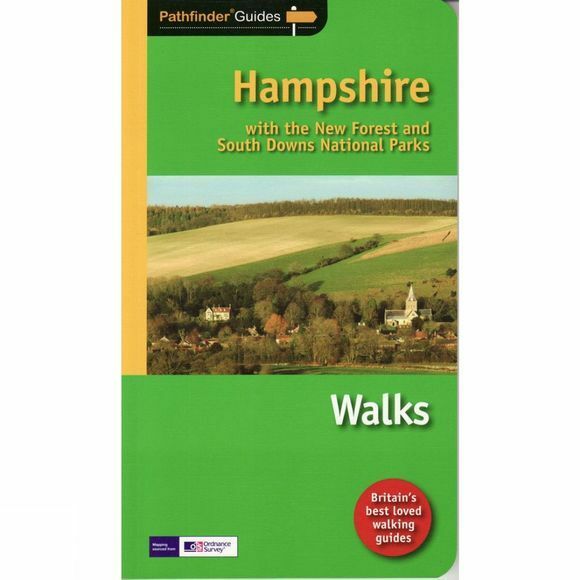 From its chalk stream valleys and high downlands to its bluebell woods and wide purple heaths, Hampshire's varied landscapes make ideal walking country. The county's two national parks – the New Forest and the South Downs – possess outstanding landscape qualities that put them among the finest in Britain. The New Forest's ancient woods, heathlands and bogs make it important as one of the few remaining sanctuaries for some of Britain's rare wildlife and, of course, a haven for its famous wild ponies. Routes are given through typical New Forest scenery at Brockenhurst, Highland Water, Standing Hat and Bishop's Dyke, that provides interest at all times of year. The high downland stretches from Winchester to the Sussex border and routes taking in its characteristic close-cropped turf, wild flowers and butterlies are at Chilcomb, Beacon Hill, Butser Hill and Hambledon, the birth-place of cricket.